TD Ameritrade – TD Ameritrade serves as our 3rd party custodian. 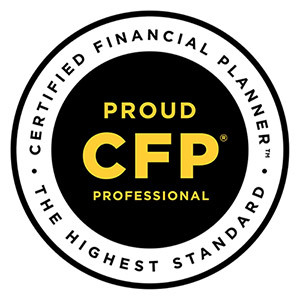 They are consistently at the leading edge of integrating with technology providers to help provide the most robust portfolio and financial planning solutions in the industry. TD has also won multiple awards for customer support and educational resources. Dimensional Fund Advisors (DFA) – The overarching philosophy of Dimensional is based upon the science of capital markets. Markets throughout the world have a history of rewarding investors for the capital they supply. Companies compete with each other for investment capital, and millions of investors compete with each other to find the most attractive returns. This competition quickly drives prices to fair value, ensuring that no investor can expect greater returns without bearing greater risk. Traditional managers strive to beat the market by taking advantage of pricing "mistakes" and attempting to predict the future. Too often, this proves costly and futile. Predictions go awry and managers miss the strong returns that markets provide by holding the wrong securities at the wrong time. Meanwhile, capital economies thrive--not because markets fail but because they succeed. Dimensional manages approximately $381 billion for investors worldwide. Vanguard – Vanguard is founded on the simple but revolutionary idea that a mutual fund management company should be managed in the sole interest of its funds' investors. At Vanguard, there is no third party. The company is owned by its funds, which in turn are owned by their shareholders. This allows Vanguard to offer some of the lowest cost investment options in the industry. Vanguard is also one of the world’s largest investment management companies with over $2 trillion under management. eMoney Advisor – eMoney is the most powerful financial planning and account aggregation software in the industry, aggregating more than $1.4 trillion dollars in assets for more than 25,000 financial professionals across three countries and in all fifty states, serving a million end-clients. Fi360 – fi360 helps its clients gather, grow, and protect assets through better investment and business decision-making. 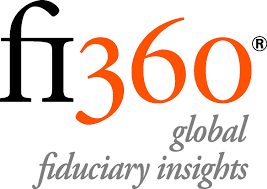 Since 1999, fi360 has been providing innovative solutions to financial services providers, including the AIF® and AIFA® designation programs, the fi360 Toolkit™ software, and fi360 Fiduciary Score®. Our vision is to be the leading provider of services that raise the level of professionalism in investment management.